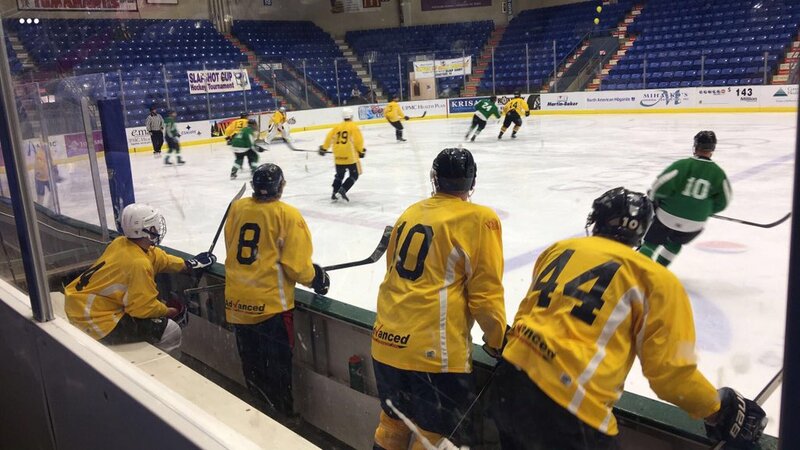 JOHNSTOWN, Pa — In 2010, Josh Piro and a group of friends began a small hockey tournament in the city of Johnstown. The goal, Piro said, was to create a fall tradition for everyone to reunite and enjoy a weekend of hockey. Jump forward seven years and the tournament has expanded drastically. A total of 28 teams participated in the tournament last weekend, featuring teams from across the United States and Canada. A team from Germany was also represented at the tournament. The tournament was open to anyone interested, but a couple notable names were also present. Some of the noteworthy participants and appearances included former NHL players Christian Hanson and Tyler Kennedy. Several former Johnstown Chiefs players also competed in the tournament, as well as many other former NHL draft picks and prospects. This tournament, Piro said, was the perfect opportunity to reunite with older friends and comrades while enjoying the sport they love. While the tournament possessed fast-paced and competitive hockey, the primary goal was for friends from all over to reunite and play hockey. The tournament took place in Johnstown, and because of the location (which was the primary filming location for the legendary hockey action film Slapshot), the tournament was appropriately named “The Slapshot Cup.” Piro, who donned a Johnstown Chiefs jersey for two seasons from 2002-04, said the community continued to rally around this tournament, which only makes the moment that much better. Piro added that the tournament honored the Cambria County Hockey School and it’s founder, the late Sam Coco. The tournament honors someone from the community each year, and Coco was honored and remembered this year. When the tournament first began in 2010, a total of 14 teams participated in the weekend-long tournament. This year, that number doubled as 28 teams competed in the tournament. Piro credits player satisfaction as a main reason for the tournament continuing to grow. Marley Kelley, who assisted Piro with the tournament, was hopeful that the tournament will continue to grow. Kelley also emphasized the importance of having women participate in the tournament in the future. The tournament is open to anyone who is willing to participate, and Kelley emphasized that the community’s involvement in the tournament was a huge reason for the success of the tournament. Piro added that anyone wishing to compete in future tournaments can contact him and visit the tournament’s website at http://joshpiro.wixsite.com/slapshotcup…The tournament will conclude on Sunday after completion of the Slapshot Championship Game at the iconic 1st Summit Bank Arena at the Cambria County War Memorial.